NeutraFade Skin Recovery Oil gently fades the appearance of scars. The oil will help reduce the appearance of many different types of scars, such as surgical scars, stretch marks, acne scars, and burns. The unique formulation of 100% natural and herbal ingredients and contains essential vitamins and minerals needed to quickly repair and recover the skin while promoting the skins natural renewal process to quickly reduce the appearance of scars. The oil can be used on the face and body and is quickly absorbed, leaving your skin feeling soft and supple. The oil will improve the appearance and texture of old and new scars. 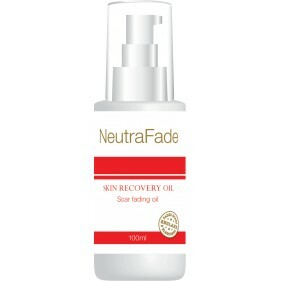 • NeutraFade Skin Recovery Oil gently fades the appearance of scars!• Contains essential vitamins and minerals needed to quickly repair & recover the skin!• The oil will improve the appearance and texture of old and new scars!• Can be used on all scars such as: surgical scars, stretch marks, acne scars, and burns! 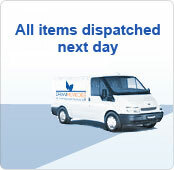 NeutraFade products have been clinically proven to give you great results - fast! • Our products are formulated using 100% safe and natural ingredients!• Our products are tested & developed alongside an expert team!• NeutraFade products guarantee great results, fast!• Contains essential vitamins & minerals needed to repair & restore skin!! NeutraFade have developed a unique range of products designed to reduce the appearance of old and new scars. All the products within the range have been clinically proven, and contain 100% safe and natural ingredients. Our products have been tested extensively on different types of scars, such as surgical scars, stretch marks, acne scars, and burns.